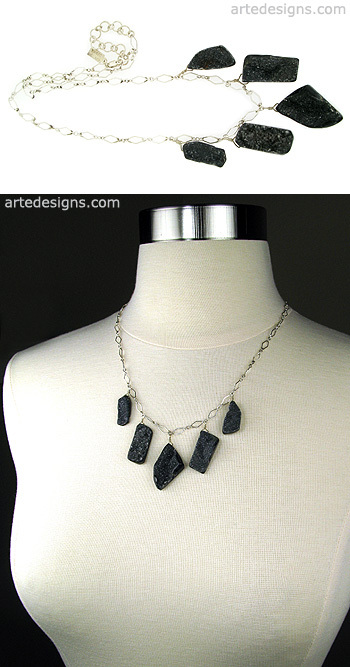 These black drusy chalcedony gemstones have a natural quartz formation in the front and are smooth in the back, giving this necklace a natural understated sparkle and lots of interest. Chalcedony is a type of quartz, so it has similar energies and healing properties of quartz. Chalcedony is believed to help relieve depression and bring emotional strength. No 2 are alike. Center drusy stone is 1.25 inches high. Sterling silver chain is available in 16-18 inches or 18-20 inches with a sterling silver lobster clasp.